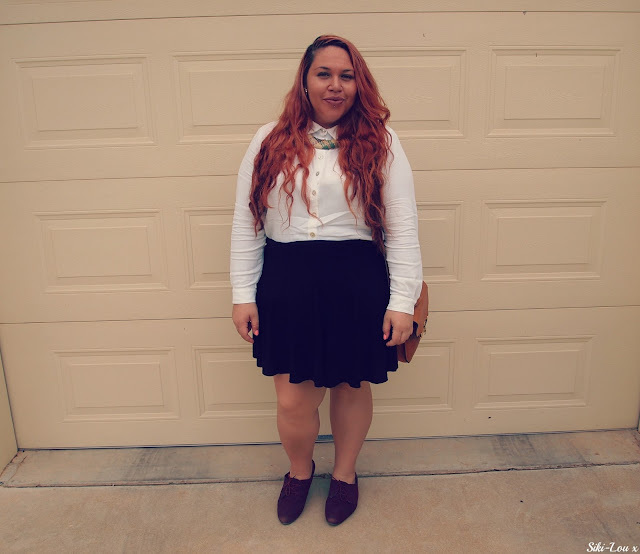 he called her Siki-Lou: Aussie Curves OOTD: A collar for church. Aussie Curves OOTD: A collar for church. Hi lovelies! 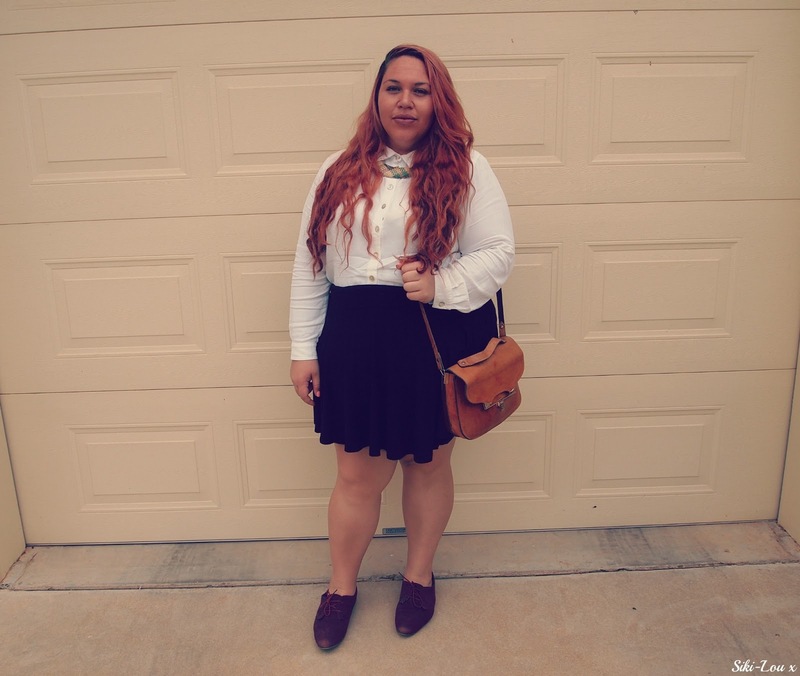 Here's just a super quick OOTD post because well...its been too long since I've been up on here! I completely forgot what was next on the Aussie Curves challenge list and what do you know...hello Black & White! I wore you unintentionally! I love black and white...it's a classic foundation for a clean and simple look! How do you do black and white? Shirt, thrifted $6/ Skirt, City Chic outlet store in Campbelltown SYD $5/ Shoes, Rivers $20 last season/ Bag, gifted. Lazy face to the max! Sorry but this was as good as it got, haha. You look gorgeous! THIS is a great outfit. you look great :) seriously impressed with your bargain hunting/thrifting skills! beautiful! Your hair is looking so awesome!